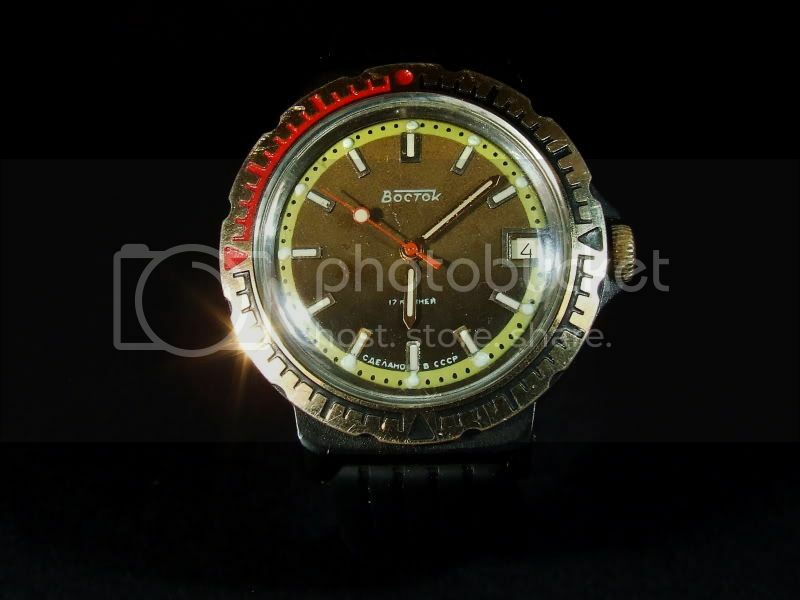 A vostok in a very rare plastic casing with a golden rotating bezel and golden frame hands. The back case is fixed by screws and is also made of plastic. 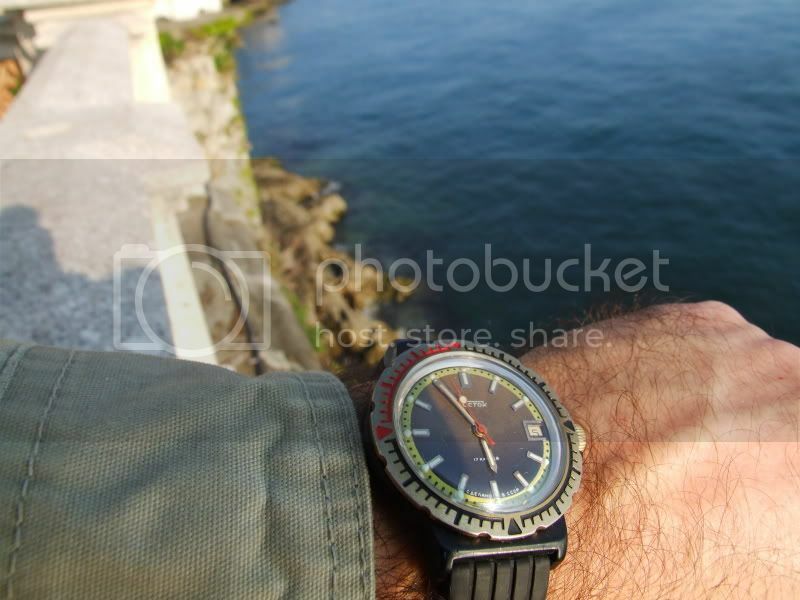 Vostok (East in english) watches were produced by the Tschistopolsky (Chistopol) Watch Factory. This watch was produced in the 1980ies and it has a 17 jewels 2414 manual winding movement with date.